In every occasion, we always want to give our loved ones with something special, no matter how busy we are or how tight our budget is. Here at Premurosa, we will help you send a unique and impressive gift packages for any kind of occasions, from birthdays, Mother’s Day, Christmas, Birthdays and even weddings. The best thing about it also is that it will be delivered through a letterbox so no one will have to wait in and this gift of yours will surely arrive as a complete surprise. When it comes to gifts for business, wedding invitations and for all occasions, you can always trust Premurosa to get the job perfectly done. The best thing about Premurosa also is that you have the choice to personalize or customize your message/ gifts. Some of the letterbox Gifts and next day gift ideas that you can find here are chocolate slab and big heart invitations, burgundy bag hook and a key finder, contemporary pen-rich brown, crystal drop earrings, black leather card holder and a bracelet, Bespoke caramel fudge and a lot more. Aside from that, we also offer a very wide selection for our customers who include organic bathtime treats, handmade chocolates, beauty products, fashion jewelry and lovely gifts for women and cool gifts for men. 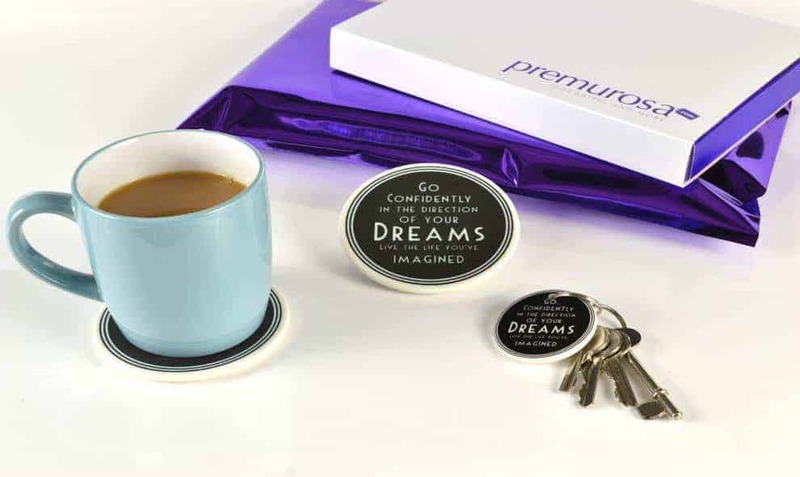 From candle gift sets, gifts for all occasions, gifts for sentiments, and Christmas gift ideas, Premurosa is perfect for your needs.